Commence the exciting process of creating your personal ‘Made to Measure’ apaiser bathware. Select any piece from our stunning Collections and tailor it to your personal specifications working with our dedicated design team and advisors. Your new bathware design is created, ready for our master craftsmen to bring to life. Allow yourself to be guided along the Made to Measure journey. ‘Expression knows no boundaries’. 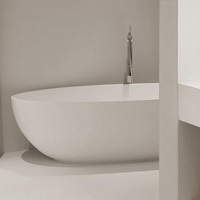 Explore our beautiful Collections and choose your style and design from our range of bathware. Tailor it to perfectly fit in terms of size, shape, additional features and colour. Tailor your design to suit your project brief, by adjusting any design element including dimensions, features and colour. Once our dedicated sales and design team has defined the project, the concept will be carefully considered and assessed for functionality. A comprehensive design review and approval will be undertaken by our drawing and technical team. Once design is approved, our atelier sets to work. Up to 12 master craftsmen will spend up to 300 hours lovingly creating your individual piece by hand, adhering to the atelier’s highest production standards. Your Made to Measure piece will take as little as two weeks from approval to completion, depending on the tailoring required. With fastidious attention to detail and careful consideration, from moulding to final quality checks, our design team will ensure the final piece is ready for delivery. Our rigorous processes demand that fit, test and quality checks ensure nothing leaves our atelier until the final inspection and approval is given. Our team of apaisercare professionals deliver exceptional service, to provide support during delivery, installation and throughout the life of your apaiser bathware. Our apaisercare team is available for training, to ensure the performance of your Made to Measure piece and to provide ongoing peace of mind. 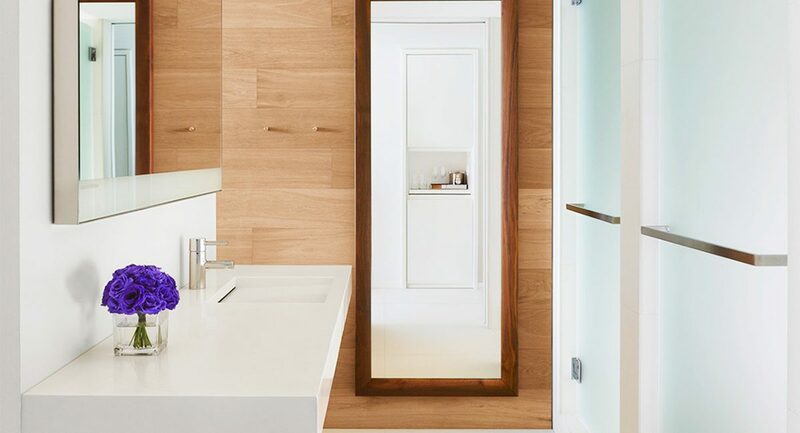 As a designer it’s very exciting that sustainable apaisermarble® allows me to create eco-sensitive bathrooms in any space, while preserving the necessity of total custom design. The pinnacle of luxury in the city of Perth, Crown Towers stands out as the ultimate expression of design. 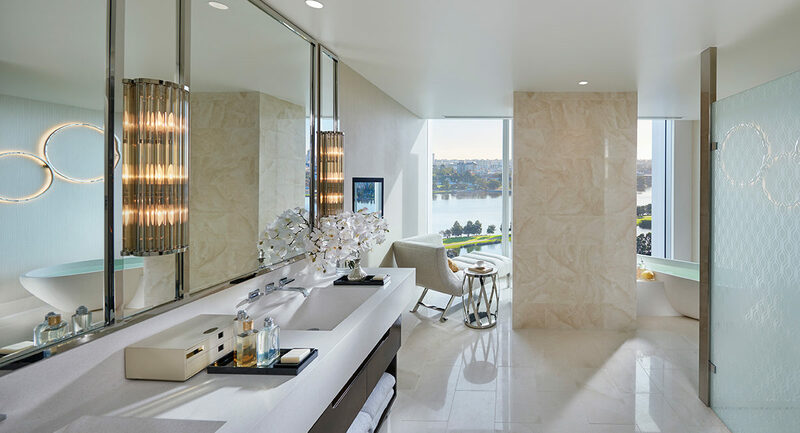 Crown Resorts commissioned apaiser to create individual Made to Measure bathware for 438 luxury suites and rooms. After the initial design brief, the Solar bath from our collection was selected and fully integrated rear plinths were added for functionality and aesthetic. To complete the design Made to Measure integrated basins were crafted to perfectly fit each layout and complement the baths. This iconic Miami Beach hotel stretches from Collins Avenue to the Atlantic Ocean and was reimagined for the needs of a new generation. apaiser was hand-picked by the world renowned Ian Schrager, to create Made to Measure baths using our Seascapes bath from our Collections, as an inspiration. 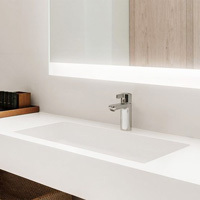 To complete the total design concept, Made to Measure integrated basins in our Glacier finish were crafted to fulfill the overall design intent of truly personalised luxury.